Please don’t forget tonight’s 70cm net on gb3mr repeater at 7.30. if the repeater is in use we will be on gb3mn repeater. Can i please ask that we have as many members on the net as possible. as this would assist other members gain points for there sapphire awards as a few members are only 1 or 2 points short for there award. So dont be shy call in and say hi…Tonight you can talk about anything you want .. This Thursday 11 April will be the last 2 meter net that I shall be chairing. Al G0ROW, Net Controller, is looking for members to chair the 2 meter net in addition to those already doing so. If you would like to chair a net please speak to Al at any club meeting, or use this group to contact him. Thank you to all members who support the nets, and those who chair them. If I am available on net nights I will still call in. Thank you to all participants. At the Committee meeting held on Thursday 4 April, Alan G0ROW requested to step down from a his role on the Committee of Vice Chairman in a principal role and step in an ordinary committee member role. Nigel 2E0CKA was nominated to step up to the Vice Chairmans role aswell as staying as Membership Secretary. This was unanimously agreed by the Committee. I hope you will all wish Nigel all the best in his new role. Just letting you know that I’ll be giving the second part of my HF Propagation presentation – putting the theory that I talked about last time into practice. Also, Morse practice at 7pm. Good luck to the SRS contest team. Hope that all equipment works as it should with no hiccups. 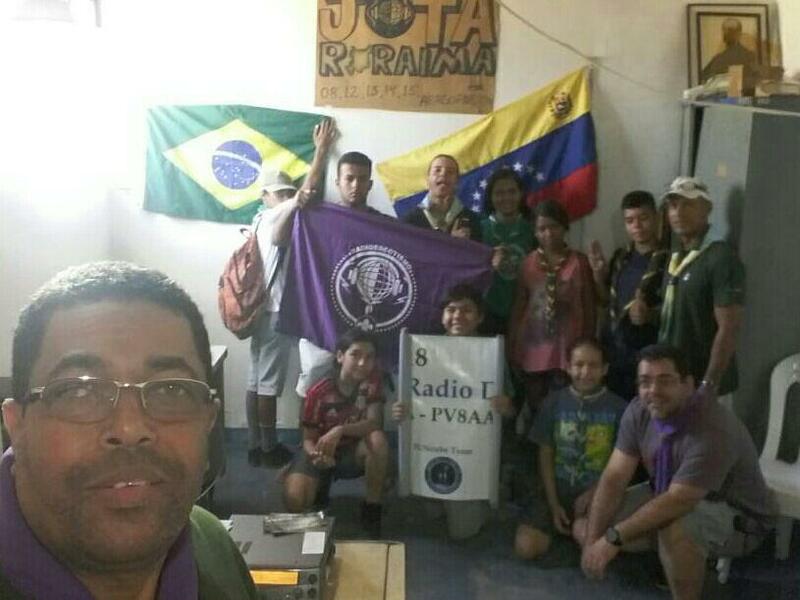 Don,t forget to listen out for the team on the HF bands. If you contact the group please ensure that you contact other people as SRS could be penalised if not. Don’t forget the 2m net tonight – 7.30pm on 145.375 +/- chairing the net tonight will be Nigel 2E0CKA. Call in and say Hi and don’t forget those chasing any ‘Double Sapphire Points’ shout out if you need a QSO with another member. As we (2E0CKA & M6HNS) share the kit – M6HNS will be in the background but available if needed. Dmitry R4UAB reports cosmonauts on the International Space Station will again be transmitting SSTV images , April 1-2, on 145.800 MHz FM as part of the Inter-MAI-75 experiment. Just a little note to say congratulations to Neil on getting the last award in the Double Sapphire quadruple awards. Nigel 2E0CKA got first, Neil M6NAE has second – now lets see who is next on the role of honour. Please don’t forget tomorrow’s 70cm net at 7.30pm on GB3MR repeater.Iif the repeater is in use then I will be using GB3MN. A reminder that tomorrow night is radio night, so we will have the yaesu c4fm digital in the main room. Please come along and give it a try. as you can work the world on less than 5 watts and without the need of a antenna Also I will be showing the new android app – peanut , which is available for android devces and windows pc. and peanut will not cost you a penny to use. 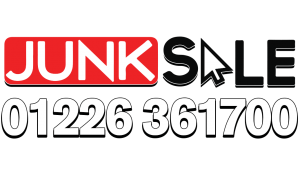 but you must register for d-star and request a pin code for peanut, to access the whole peanut network, so when the bands are poor why not have a look and see what other new modes have to offer Dont be shy give it a try – do come along and have a look. None of the ham radio shops in the uk .. have the c4fm digital kit up and running with a hotspot for you to try, so come along and have a look. 7.3 Neil M6NAE – Digital Radio Co-ordinator. In the JB Room, we’ll have an HF set going, and we’ll be looking for SSB contacts on the 40m band in Europe. Join us if you want to listen or even have a go yourself. VHF digital will be done in the Main Room. Don’t forget Morse practice, from 7pm. It’s that time of year again when we start thinking about the SRS stand at the NARSA Rally to be held 28th April. It’s the North of England largest rally see http://narsa.org.uk/. While we have a general format for the stand layout showing SRS activities, Training info, Achievements, QUA etc. as text and photos. I also like to have some items on the table that look interesting causing the visitors to stop and chat. 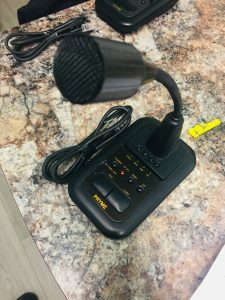 So, do you have any equipment or component that you’ve made or acquired that others may find interesting? In the past we’ve had an early Yaesu transceiver, 1920 vintage radio, A ‘Guess the valve type’ puzzle and hand made kits. All of those created interest and discussion. Secondly, we normally submit one or two entries in the Construction Competition. There are two trophies to be won. One for the best entry and one for the best Novice entry. We’ve won the Novice trophy a few times so we have a reputation to uphold! If you have constructed anything that you would like to enter please let us know and we’ll help you complete the entry form. Lastly, there is a NARSA presentation and preparation meeting at Walthew House on Tues 26th March. Please bring along any items and ideas that you think are suitable for the stand and the SRS NARSA team will select those suitable for display. Please dont forget tomorrows 70cm net at 7.30pm on gb3mr repeater. 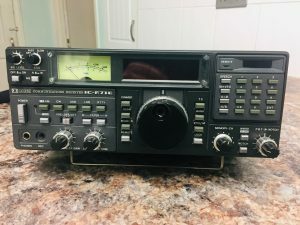 If the repeater is in use I will be using gb3mn. The theme for the net will be ‘Rallies’. Sorry Guys – I have just sent QUA to press so I have missed putting your new callsigsn in. Please don’t forget tonights 70cm net on gb3mr repeater at 7.30pm. If the repeater is in use Iwill be using the gb3mn repeater. Please can i ask can we have as many club members on tonights 70cm net.. Some members are only one or two points short of gaining there sapphire awards. So your point could gain them there award..
Don’t forget tonight’s talk – Dave Wilson (RSGB President) will be giving us a talk and also a hands on demonstration on the new online examinations system. This will be a good night for all those members taking their licences further, and will also explain further to the tutors and invidulators what’s is involved. Dave’s talks are always good fun. Come along and have a try at one of the online exams and see how you fair. Don’t forget that we have the last 2m net of the month tonight. 2m – 145.375 +/- at 7.30pm. Please call in and have a chat – don’t forget about the double sapphire join us and get your award. Speak to you all tonight. Come along to the skills night and build your own half size G5RV with TOm M0DCG and Neil M6NAE cost of the kits £5. 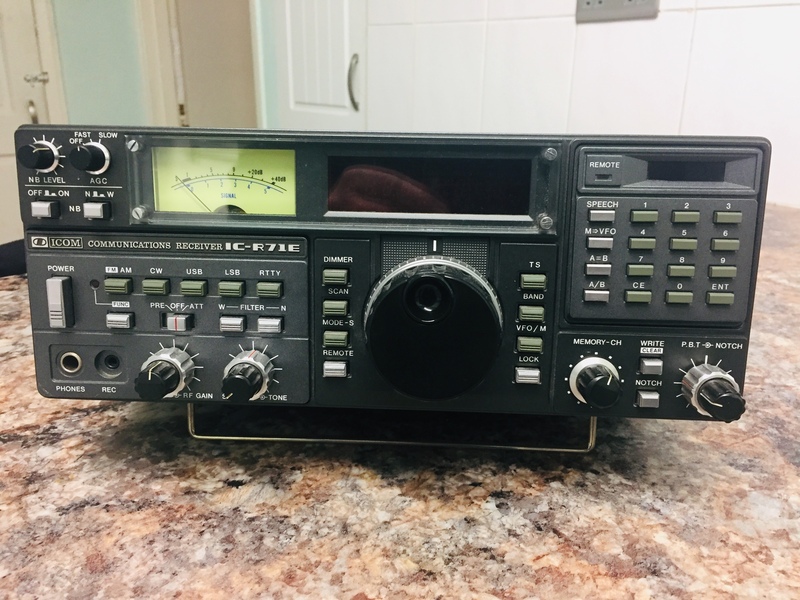 So if you are free on Tuesday and you would like to try your hand at Yaesu c4fm, please call in and have look and see what it has to offer as you can work the world on less than 5 watts, and its a radio mode that is growing on a daily basis. So don’t be shy and give it a try.. you might just like it see you all on Tuesday evening. Please note i do not use dstar anymore due to the audio being far better on fusion.. but if any members need a hand with d-star. i am more than happy to help if i can..
Just a reminder of the SRS 2 meter net Thursday evening commencing at7.30pm local. 145.375 FM +or- is the frequency to listen on. The call sign will be G8SRS. In the chair will be Tony M0SAV. Call in lets hear those new M7 call signs. Please don’t forget tonights 70cm net on gb3-mr repeater at 7.30pm. If the repeater is in use we will then use gb3-mn. Can i please ask that that we have as many members as possible on tonights radio net, as this will assist members gaining there sapphire awards. some members are only 1 or 2 points short of there target. Sorry for the late notice. Although our advertised speaker, Ron Smith (from South Manchester), cannot make it tonight, there will still be a talk on the chosen topic: The Essentials of HF Propagation. This will be the presentation that I gave at SRS some years ago. Don’t forget Morse practice at 7pm. Please dont forget tonights 70cm net at 7.30pm on GB3MR. 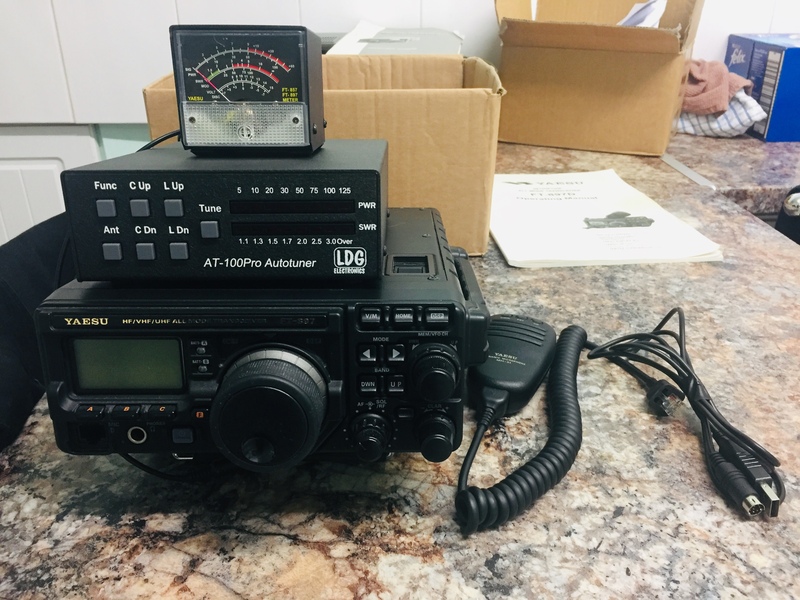 If the repeater is in use I will be using the GB3MN repeater. Can I please ask that we have as many members on the 70cm net as possible. This would assist members to gain awards, as some members only need 1 or 2 point to claim there award..
I’ll be running it /p from the top of Winter hill, so please tune in, say hello and show support for the Club. 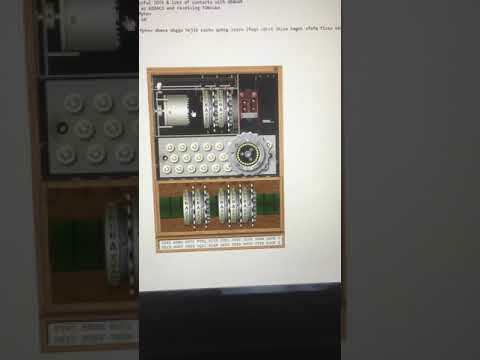 Just to let people know we’ll be continuing with the mag loop project on Tuesday night, sizing the capacitor and working on a means of controlling it remotely. We’ll also modify it to make it easily transportable, to free up space in the SRS cupboard at Walthew House. Neil M6NAE also wants to introduce a project to build half sized G5RV antennas and has acquitted some materials necessary for the work. This is an opportunity for anyone interested in making one of these very versatile multiband HF antennas. I have added three new pages to the website. These are all under the Contesting section. Have a look and see how well your Contesting Group does in the contests. 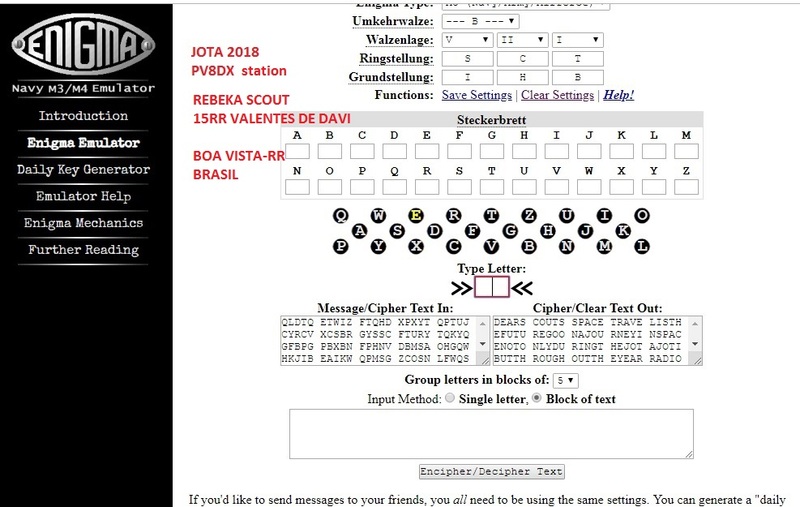 The IOTA contest is yet to be completed, but will be up soon. If you can assist the Contest Group at one of their contest, please contact them direct or at a meeting. Please don’t forget tonight’s 70cm net at 7.30pm on gb3mr. If the repeater is in use., we will be on gb3mn. Just letting you know that next Tuesday night will be a Radio Night. The purpose of this is for those wishing to operate the IC7400s can do so without too much ‘local QRM’. We will be repeating the arrangement for the February and March radio nights, and will review the ‘two-room’ idea at April’s committee meeting. Each of these three radio nights will have a particular theme: January’s is Morse Code, and a short primer article about setting up the IC7400 for CW operation will be emailed via the SRS Member’s group box in the next couple of days. I will demonstrate the basic CW settings on the rig, then will get on the air. The focuses of the February and March nights have yet to be decided, but at least one will be devoted to HF digital operation (PSK, etc.). P.S. Morse practice as normal, at 7pm next Tuesday. After being on the 6m Net last night (14 Jan), a thought came to mind about the logging of the nets. Obviously there are members that go mobile and do not have the facility to log their calls, so I have done it for you. On the website is a new page where all the members who joined in on a net have now been logged on this page. To many folks in the amateur radio world, a ‘VNA’ is simply a fancy antenna analyser, which can magically plot a graph of an aerial’s SWR across a range of frequencies. But, what actually is vector network analysis? Dave Roberts of Warrington Amateur Radio Club will explain. P.S. Please note that there will be two other meetings of SRS this month: 22 January (Radio Night) and 29 January (Skills Night). Although I will send a separate email out about this later, please note that, for the Radio Night, the JB Room will be devoted to the operation of the HF stations, only; all other activities (e.g. VHF digital, natter) will be in the Main room. P.S.S. Morse practice, as usual, at 7pm. Please don’t forget tomorrows, Friday 70cm net on GB3MRrepeater at 7.30pm. if GB3MR is occupied we will use the alternative repeater GB3MN. Please can I ask that we have as many members as possible, to call into the net. this will assist other members gain there awards as some are only a few points short of achieving the awards..
Dont forget about the FREE presentation / Social evening on Friday 18 January at Walthew House from 7.30. We will be putting on a free buffet with alcoholic and non alcoholic drinks – this is as a thank you to you our members. Please let Heather know if you are able to attend. XYL’s, partners and children are all welcome. Tonight is the friday 70cm net at 7.30 pm on GB3MR. If the repeater is occupied I will use GB3MN. Please can Ii ask can that we have as many members call into tonights radio net, as this will assist club members gain their awards, as some members are only a few points short of achieving their award. Hope you had a great Xmas. Just letting you know that, in addition to Neil M6NAE running a 70cms net from Walthew, there will be the regular Morse practice session, starting at 7pm. I am willing to extend the Morse session beyond the usual half an hour, for either listening or sending practice. If you have a straight key and wish to try it out on the club’s practice oscillator, bring it along. (The oscillator fits key 1/8-inch (3.5mm) plugs, but I have an adaptor that converts 1/4-inch plugs to 1/8.) For those wanting to bring iambic keys, let me know and I’ll get a transceiver (with an electronic keyer) organised. i will be using the GB3MR repeater if this is being used i will use GB3MN. This will give members a chance to call into the club. and send there good wishes to others, who cant make it into the club in person. So please call in and say hello. 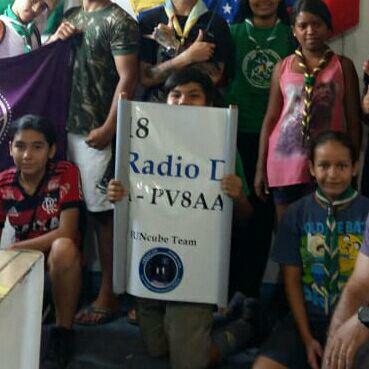 i will be using my own call sign M6NAE. A personal thank you to all members attending the 2018 AGM Tuesday 18 December. I know AGM’s are not everyone’s cup of tea but we have to present to you, the members, our financial statement plus a round up of what the committee have been doing in the last twelve months. I hope that removing the Trophy awards to a “Presentation and Social Evening” on Friday the 18th January 2019 will be a success as was the AGM. Welcome to Neil M6NAE to the committee as Digital Radio Co-ordinator, also to Nigel M0VNL moving into the position of Station Manager. Please remember this is YOUR CLUB, we need your input as to what you wish to see happening. Without it the committee can only assume it is getting right. May I Wish All Members A Very Merry Xmas and A Prosperous New Year. At tomorrows AGM there will be no door charge as such. Signing in will still be required. We are asking that you donate £2.00 per member, the monies collected will be passed onto Walthew House as a Christmas Donation. Tea, coffee and biscuits will still be available. If the repeater is occupied we will go to the new alternative repeater, both repeater details are below. Please don’t forget this Thursday’s 2 meter net on 145.375 +/-qrm at 7.30pm. I will be running the net from the Winter Hill, with the Club’s call sign G8SRS/p. Gaining from my previous experience transmitting from such high spot attracts huge audience from licenced amateur operators from further a field than usual “local” net, so I’m going to encourage them to join in and participate. Please tune in and say hello. While Neil M6NAE will be concentrating on VHF digital, there will be an HF station set up, too, with which we hope to make European contacts on the 80- and 40-metre bands. Also, there’ll be Morse practice from 7pm, as normal. around the world since the launch. These are the listings for the club nets that SRS are running. Please feel free to join any net. If you are interested in becoming a Net Controller, please contact Alan G0ROW at any club meeting to discuss further. Once we have dates and further information on the digital nets, these will also be published on the web, google groups and social media. A few weeks ago a digital group was created at the club. So on each radio night, I will bring along the a DV-mega Bluestack for D-star, Fusion and DMR, as well as a Icom ID51 D-star handheld. and a laptop. If any members wish to have a try at digital radio they can, or if you have a C4FM handheld please bring it along and I will link your radio to the hotspot for you to access the world of Fusion. As the group is new, I would like all the members with digital stations and radio hotspots. to share there views and if they have made there own hotspot. please tell us how you did it. lol. I don’t know everything about digital so the more we share our views, the better the group becomes. i have created a digital file which is left at the club. If any members would like to know about D-star reflectors ect, also a DMR list. and there is a setup guide for the DV-mega Bluestack. inc software. I am happy to help any member get started into digital, this includes writing the icf files for D-star. Work will continue on Tuesday night on the 40/80m mag Loop with the morse class taking place also at 7.30. I have a chat with Justin recently from Lindars Radio, and I have agreed to send out his details on our website. www.amateurradiosales.co.uk Company Name: LINDARS RADIOS We specialise in the 2nd hand amateur radio market, buying and selling all sorts of equipment. We currently advertise in practical wireless etc……. Neil M6NAE has just received an email to see if he can do a digital demo again. So this Tuesday will be a Digital Radio Night. Neil will bring along my ICOM ID51 plus 2 handhelds and his DV Mega Blue Stack Hotspot. These will be set up for a digital demostration. With you help also, Keith 2E0JPY has agreed to bring his Yaesu Fusion handheld, and so has Nigel 2E0CKA. Neil will demonstrate what the world of Dstar has to off and also Yaesy C4FM Fusion. If everyone remembers to bring the C4FM Fusion handhelds with them. UPDATE : Can members with Yaesu C4FM FT70d Fusion handhelds, please bring them to the club tonight for the demo. As you will be able to link upto my dvmega bluestack and you will be able to give a call on the c4fm network. I will have the icom id51 plus 2 handheld for dstar. also m0-sqj Slawek. is bringing his icom id5100 which i think is in his car. So we can have a few contacts..this is a hands on demo.. no talking…lol Also i will show the latest version of the dvmega bluestack as well..
see you all later this evening..
As of the AGM, Phil M0XYA has asked to step down from the Committee. We wish Phil all the best and thank him for all his work during his term on the Committee. The new proposal for approval at the AGM is as follows – The above Committee has agreed in principal to stand for another year, with the following changes ; Assistant Station Manager Nige 2E0NGE to step up to Station Manager, and we wish to add a new member to the Committee – Neil M6NAE as Digital Radio Co-ordinator. Neil has been with SRS for three years which abides with the rules of the constitution. These requests have been put to these two members who have agreed in principal to accept this position, if the membership agree at the AGM. Along with Pete M1PTR and Nigel 2E0CKA, I recently went to the Narsa meeting, and a request has been made from the team to ask clubs if they have any members who would be willing to assist for a few hours on the bring and buy stand. They are not asking for you to be there all day, but would like some support. If you are interested, could you let me know. Please do not say yes, and then not turn up, as this could put the bring and buy team under pressure thinking they have your support. I am at the club on Tuesday if you want any further information. The Friday net on the 23rd of November is moving for a trial, to see if we can hear everybody on the net. So the new frequency will be. GB3-MR.. REPEATER AT –7.30PM.. If the repeater is occupied we will go back to the normal frequency of 433.525 mhz. Tony M0SAV suggested this two weeks ago.. the repeater details are below..
please call in and say hello.. some members need the points to help them gain there awards..
Don’t forget we have a 6m net tonight on the normal frequency of 51.550 +/- FM. We have a new Net Controller for the 6m nets – Keith 2E0JPY – give Keith a call tonight. Good Morning All – Please dont forget Fridays 70cm net on 433.525mhz +/- qrm, at the new start time 7.30pm. Dont be shy call in and say hello, speak with you all later this evening. His name may ring a bell with you, but you probably didn’t know that Oliver Heaviside was one of trail blazers of electronics and radio – right up there with Faraday, Maxwell, Hertz and Marconi – as SRS member Pete Singleton will explain. Also, Morse practice from 7pm. The Friday 70cm net on 433.525mhz for the next two weeks we have changed the start time of the net to the new time of 7.30pm. so thats the 2nd Nov and the 9th Nov. Many thanks to the members who called into the net last Friday. i think moving the start time of the net to a evening will allow other members working a chance to have a chat with other club members. If you are interested in any of these items, please contact Nigel 2E0CKA – m6bbl@btinternet.com or 07450 942821. Just a reminder Thursday is the 2 Meter net on 145.375 +or- QRM starting at 19.30 BST. I will be in the chair again using the club call sign G6UQ. Hope to hear you all on air. Tuesday evening 9 October – 6 Meter Net. The members net will commence at 19.30 BST on 51.550 + or – QRM. In the chair will be Tony M0SAV using the club call sign G8SRS. All members welcome to join in, just call “BREAK” in between overs. A gap will be left between overs for you you to call in. 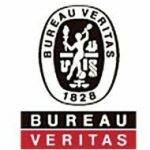 Update (10.10.18) – Thank you to all members who joined the 6 Meter net Tuesday 9th Oct. It was a pleasure to hear you on the air, and exceptionally nice to hear Elaine 2E1BVS. Unfortunately Ray M1REK, none of us could hear you from the cloud. We did put out some calls for you and left gaps between overs. Let me know if you did hear us. Our largely urban existence means that many of us are not able to put up sizeable HF antennas. However, mag loop aerials can deliver both compactness and performance, as SRS member Phil Evans M0HNJ will explain. Also, Morse practice will be on at on at 7pm, as usual. 6 weeks ago, I was very excited to receive an email informing me that OUR club had got through to the Nationals for Club of the Year – a massive achievement for our club. So a little bit of sneakyness asking who was going on the Saturday as we want to do a photo with members who were at Hamfest!!!!! Unbeknown to the members it was actually for the presentation. Unfortunately a lot of our members were going up on the Friday, and a lot were also contesting in the CQWW Rtty 48 hour contest. Myself, Nigel 2E0CKA, Tony M0SAV, Neil M6NAE, Nigel 2E0NGE, Bob G4GDG, John M0JFM, Jim M6URD (and son), and Lee M6OLK along with his XYL attended the event. We came 3rd – and the club were very please with this. Lets get 2nd next year. Thanks to RSGB and Waters and Stanton for the award. Tomorrow night is a skills nights, and Neil M6NAE, along with Tom M0DCG and other members will be continuing the Mag Loop building from the previous skills night. Please come along and have a go. Also Morse class will be on from 7pm as normal. and running the pc program blue-dv . i think if the demand is a popular as last time we had a C4FM night, we may have to do the demonstration to a few members at a time. so everyone gets a good hands on what you can do with digital radio. (This a hands on demonstration) a big thanks to Tony M0SAV, for allowing me to do another demonstration. See you all on Tuesday night. The coming Tuesday Alan G0ROW will be running the 6m net (subject to all new kit working correctly). We will be operating on 51.550mhz at the revised time of 7.45pm – please call in. This Sunday will see a team of members from SRS doing some maintenance to all the antennas and mast, and updating software on the radio stations. We will also be clearing out the shack and tidying up the storage room. Thanks to Neils Daughter for lunch – it was lovely. 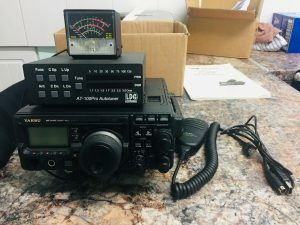 In late July, five intrepid members of the SRS Contest Group travelled to the island of Arranmore, off the remote northwest coast of the Irish Republic, to take part in the annual IOTA (Islands On The Air) Contest. The planning, adventure – and the drama – involved in setting up and operating from such a far-flung location will be shown during Tuesday night’s presentation. P.S. Morse practice at 7pm.